Hello everyone! 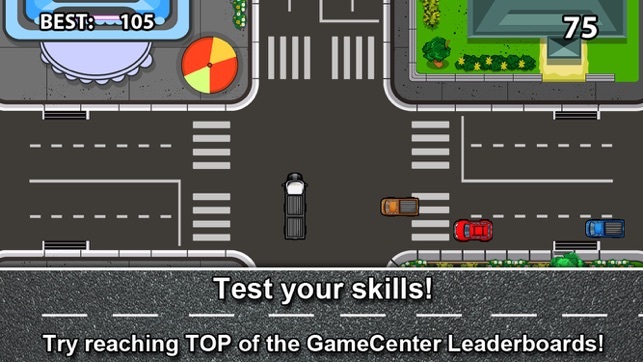 today we show you a fun app to train specially processing speed and inhibitory control. In just a minute or so you have to to tapp all the bubbles that you can (they move quite fast) avoiding to tap wasps. You should be fast to tap as much as you can and reach your best mark! Good morning to all of you! This week we show you an application to train some aspects of executive functions and attention. The application is called Crossroad and consists on controlling the traffic of vehicles, motorcycles, trucks and bicycles that circulate in a four lane fork. To do this, you must use many processes such a anticipation, planning, alternating attention, concentration and multitasking. We recommend it from 10 years and up. Are you goog in self-control? are you able to inhibit an “automatic” response? Through “NOT NOT-A brain buster” application you may train inhibitory process as well as processing speed. Instrucction are simple: move to the left, up, down… and randomly change to “non” instrucctions like “not left” (which would mean do the opposite: move to the right). There are other instructions using colors and other types of stimulus (go no go tasks). Time is important because is limited on every trial, that’s the reason why we also train processing speed. For brain process negative instructions is complicated to process, we used to process the positive ones, for instance, if we tell you: “not think in a pink elephant”, you have think in a pink elephant… the ability to control this kind of automatism is called “inhibition“, a process include in the term of “executive functions”.